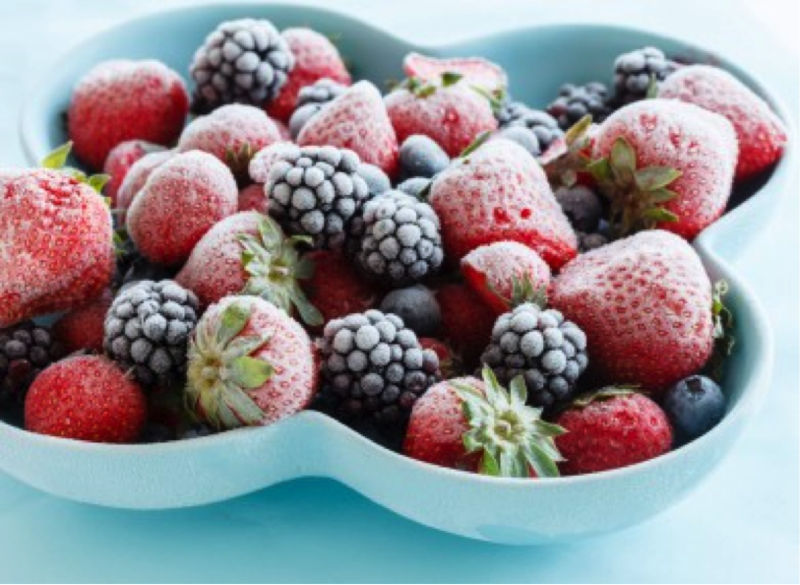 Virus Outbreaks in Europe linked with frozen berries. In Europe, there have been recent concerns regarding consumption of frozen berries. Unfortunately, Hepatitis A virus (HAV) and norovirus have been linked with these nutritious and tasteful produce. Authorities and food industries have struggled with large and prolonged food-borne outbreaks. The most recent incident involving HAV and frozen berries lasted from 2013 to 2014. This outbreak began in May 2013, when Germany reported seven hepatitis A cases in travellers coming back from northern Italy. Subsequently, Italy declared the first national outbreak, and other European Union countries reported locally acquired and travel-related cases of HAV associated with the same problem, consumption of berries. From January 2013 to August 2014, 1,589 hepatitis A cases were reported linked with the frozen berry outbreak. 70 % of these cases were hospitalised for an average time of six days, and there were 2 deaths reported (Severi et al, 2015). Trace backs done by the European Food Safety Authority could not indicate a single point source of contamination (RASF, 2015). The frozen berry market in Europe is very complex, considering the produce can be distributed at different times in different countries. Although it is not fully certain, the main suspicious candidates to blame were Bulgarian blackberries and Polish redcurrants, since these were the most common ingredients in the different contaminated samples. Regarding norovirus and frozen berries, from 20 September through 5 October 2012, the largest recorded food-borne outbreak in Germany occurred. Norovirus was spotted as the causative agent. 390 schools and childcare facilities reported nearly 11,000 cases of gastroenteritis. All affected institutions had received strawberries of one lot, which lead to the identification of frozen strawberries from China as the most likely vehicle of infection. Thanks to the timely surveillance and epidemiological outbreak investigations of the correspondent authorities that detected the case within a week, more than half of the lot was prevented from reaching the consumers (Bernard et al, 2014). 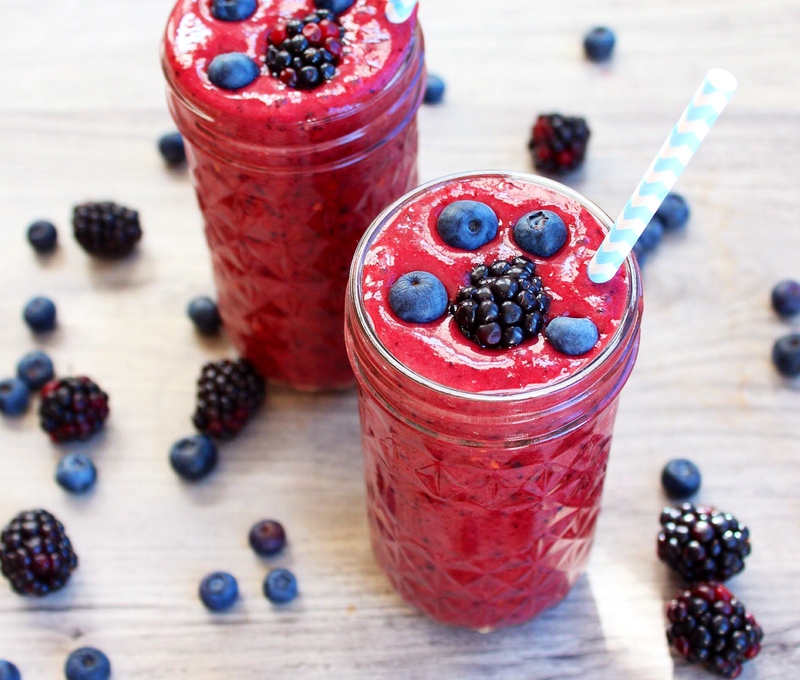 The occurrence of outbreaks associated with frozen berries has raised many concerns, especially with the growth in popularity of fruit-based products like smoothies, ice creams and yogurts. According to literature, in a period from 1998 to 2013, frozen berry contamination with norovirus caused 14,000 reported human cases in 70 outbreaks in six EU countries, namely Denmark, Finland, France, Germany, the Netherlands and Sweden (Tavoschi et al, 2015). The European Food Safety Authority highlights the risk of contamination of berries, because this food commodity often receives no or minimal processing. Contamination and cross-contamination via equipment, water (irrigation and washing) and particularly via food handlers have been identified as the main risk factors (Tavoschi et al, 2015). Also, it is known that viruses like NOV and HAV, can resist freezing treatments and remain latent in the product, which make frozen berries a perfect source of contamination. Since there have been new outbreaks this year (norovirus in Sweden and hepatitis A in Australia), European authorities recommend to be careful when consuming frozen berries. They specially suggest to boil imported frozen berries for one minute before eating, especially if the food is going to be given to vulnerable people such as nursing home residents (FSAI, 2015). Tavoschi, L., Severi, E., Niskanen, T., Boelaert, F., Rizzi, V., Liebana, E., … & Coulombier, D. (2015). Food-borne diseases associated with frozen berries consumption: a historical perspective, European Union, 1983 to 2013. Euro Surveill, 20, 29. RASFF (2015). The Rapid Alert System for Food and Feed, Annual Report 2014. European Commission – Health and Food Safety. Bernard, H., Faber, M., Wilking, H., Haller, S., Höhle, M., Schielke, A., … & Stark, K. (2014). Large multistate outbreak of norovirus gastroenteritis associated with frozen strawberries, East Germany, 2012. Eurosurveillance, 19(8), pii-20719. Great post, Jorge! It is frightening that enteric viruses, specifically HAV and NOV, are highly resistant to many hurdles and common processing methods, e.g. freezing and desiccation. This is quite unfortunate and worrisome as frozen and dried fruits are versatile ingredients and widely used in many recipes. Consumers typically depend on these preserved products as not many fresh fruits are in season and they are quite expensive during the winter. I agree that boiling may be the most feasible method for viral inactivation aside from commercial sterilization. Canned fruits, sauces and fillings may serve as an alternative and safe (assuming the absence of C. botulinum) source of nutrients for vulnerable groups. Another point to note is that these outbreaks highlight the importance of adherence to proper hygiene practices from farm to fork. Therefore, do you agree that more stringent regulations should be in place for controlling enteric viruses, especially for imported goods? This is actually a really interesting post! Usually when we think about viruses and such, we think about pandemic flus and something that is airborne. However, a large amount to GI tract related disease are largely contributed to viruses. Especially for fresh produce such as vegetables and fruits, rarely do we link them to HAV contamination and infection. Comparing to bacteria, viruses are more resistant to some environmental stresses, and they their virulence stays unchanged even after freezing or other production hurdles. I am not sure if there are some developed essays that are specific in targeting these viruses, but it should definitely considered as a big public health problem. Interesting! It is scary to learn about this. I am a big fan of berry smoothie but I don’t think I am gonna boil the berries before blending them up as the texture/ taste may change, and also, the smoothie may become too watery. (using canned berries may be a good idea though) I wonder if there is another way of getting rid of the viruses in addition to boiling? If not, I guess it is the most effective to prevent the virus before harvesting the berries? and also, how is the viruses regulated in North America? I think this is a great story. Frozen food are processed and kept at low temperatures (at least below zero degree Celsius). With that reason, many people have the mind set that many of the microorganisms that may cause illness would not be present in the food. Like many people, I wouldn’t give a second thought about consuming my frozen fruits. I like how this instance will bring awareness that ready to eat frozen aren’t always safe for consumption either. In my opinion, consistent analysis and checking the food product for various microorganisms before the food product being release in the market would be a good solution for food companies to adopt. Definitely an interesting post! As mentioned, it’s not common for consumers to associate frozen fruit products to an outbreak like this. As a Food Science student, I would also not give much thought as to how frozen fruits can be contaminated like this, as the processing procedures are relatively simple compared to other food products. I’m really glad that the surveillance and epidemiological outbreak investigation prevented another wave of outbreak from happening, and I feel that all food agencies across the globe can learn from this to prevent any sort of food break to occur. However, I do question the practicality of the advice provided by the European authorities of boiling the fruit product prior to consumption. Majority of the population consumes fruit in its raw form; thus, this advice seems rather impractical and difficult to adapt by consumers. Reading this post made me sad, because frozen berries are one of my favorite ingredients in a morning smoothie. 🙁 For something that is processed and stored in such a low temperature we usually don’t think about it possibly being contaminated with a pathogen. Even as a Nutrition student this is not something that would spring up in my mind when I think frozen berries. Therefore I think it is even more important for the public to be aware of such occurrences. I really enjoy the blogs on this site that highlights the outbreaks associated with uncommon foods. As berries are heralded as the go-to fruits that taste delicious on their own and are flexible to use in many dishes, it is concerning especially for mothers as they begin to introduce solid foods to their children. It is common to mash fruits and vegetables to give to toddlers as they transition from milk to solids for benefit of taste andnutrients. However this is also a time children’s digestive and immune systems are still developing and maturing, thus they are less likely able to fight off the virus. It has been said that young children don’t always show symptoms of being infected and this may allow the spread of the virus as no one would be aware and this could also pose a problem.